The compounds of these oils were assembled together due to their ability to stimulate, tone, and refresh the ovaries and uterus. The oils contained within Blossom may assist in opening the respiratory tract and reducing mucus. 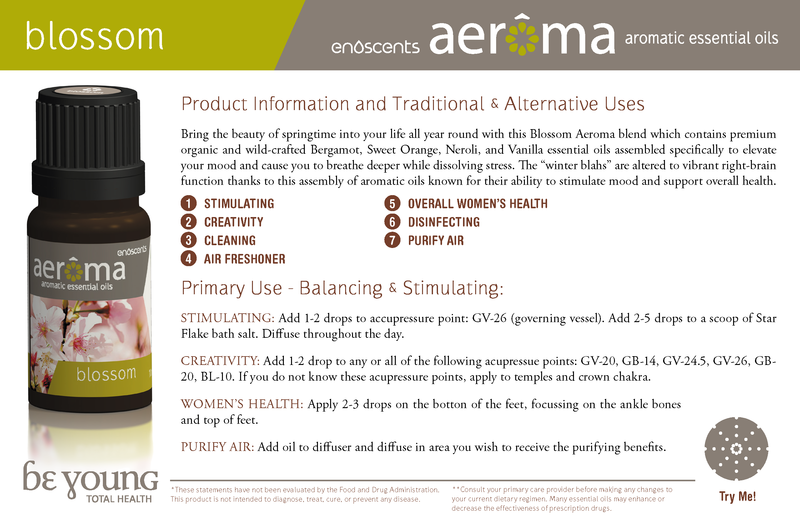 The aroma of Blossom™ blend provides an overall balancing effect. Additionally, citrus oils have been studied for their ability to assist in right brain function. *Individual essential oils (singles) can be blended with others to create enhanced therapeutic effects. For example, an essential oil with powerful antibacterial properties can be combined with one possessing strong antiviral properties, creating a synergistic effect to the essential oils blended that is both antibacterial and antiviral. Botanical Source: Citrus aurantium L.
100% no additives, Egyptian origin.